Understanding the business landscape, knowing what the competition is doing, identifying and acting on business opportunities – these are just a few ways in which strategic advisory services help your business succeed. 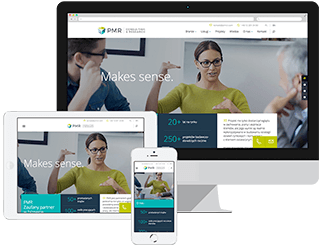 PMR Consulting provides a range of services aimed at helping you make the right strategic and development decisions for your business units in Central Eastern Europe, Southern Eastern Europe and CIS countries. How can I establish a strong market position in Central Eastern Europe? What are the main business development opportunities in my target markets? How can I increase ROI from entering a particular CIS country? PMR Consulting supports our clients in making key decisions for their operations in the CEE, SEE or CIS regions. We’ll advise on what you need to do to: increase return on investment (ROI) from entering particular regional markets, secure a strong market position, identify competitive advantages or optimise your operational cost base to ensure long-term profitability in your target market. Our team performs analyses of the business areas selected by our client. We help to verify if the regional markets they are interested in – typically CEE, SEE or CIS countries – represent a strategic or tactical market for their business. Once we have determined the potential business opportunity, we provide our client with an understanding of the local markets, their differences and similarities, the business-development opportunities available, and also the potential threats or barriers to entry that they need to prepare for. Having local expertise and an in-depth, comprehensive understanding of CEE, SEE and CIS markets, we are capable of performing consulting projects in a way that is time- and cost-effective and, importantly, is tailored to your requirements (e.g. company profile, RfI, RfQ). The main purpose of our advisory services is to help you establish a practical development strategy that, if followed, will enable you to achieve your chosen business goals.